My birthday coupon from Anthropologie was my impetus and excuse for buying this map skirt or, as they call it, "Carte" neoprene skirt a couple of weeks ago. A discount of 15% pretty much covers the tax for clothing in California, so it's not like it was some kind of substantial savings, but I figured it might sell out in my size, so I might as well pull the trigger. Speaking of sizing, if you are looking for a review for this skirt, here's a word to the wise: this skirt does, as the reviews online point out, run small. I would get one size bigger no matter what, and two sizes bigger if you want a skirt that fits a little lower on the hips. I normally like to order "mini" skirts a little bigger so that the length isn't too short since I am on the tall side. 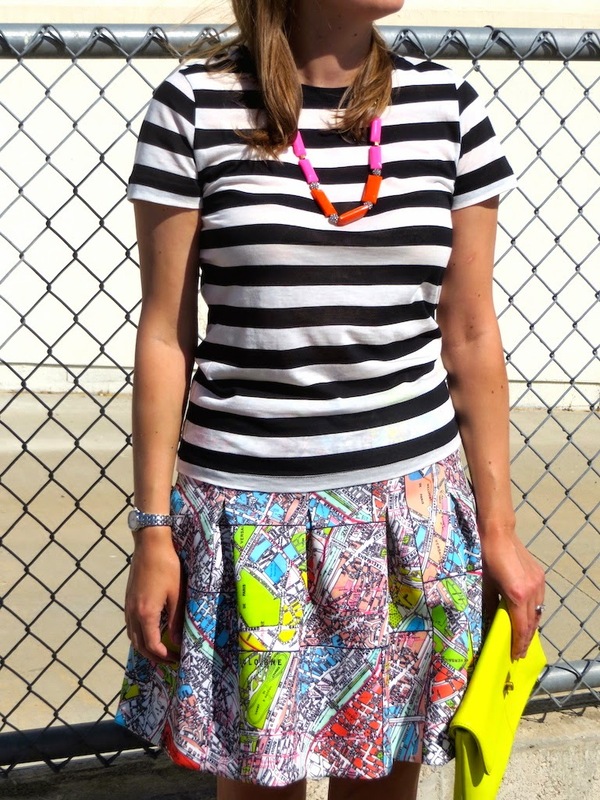 This is definitely a fun skirt with the neon hues and maps of Paris. It's something fun to wear on weekends when I can be a little more crazy in the way I dress. Oh, and my shoes were a steal. They are made in Italy of a soft buttery leather. You would think, given that description, that they cost me a hundred dollars or more for them, but actually I found them at Marshall's for only $35! While I might have overpaid for the skirt, the shoes made up for it. Love that skirt and adorable clutch too!! 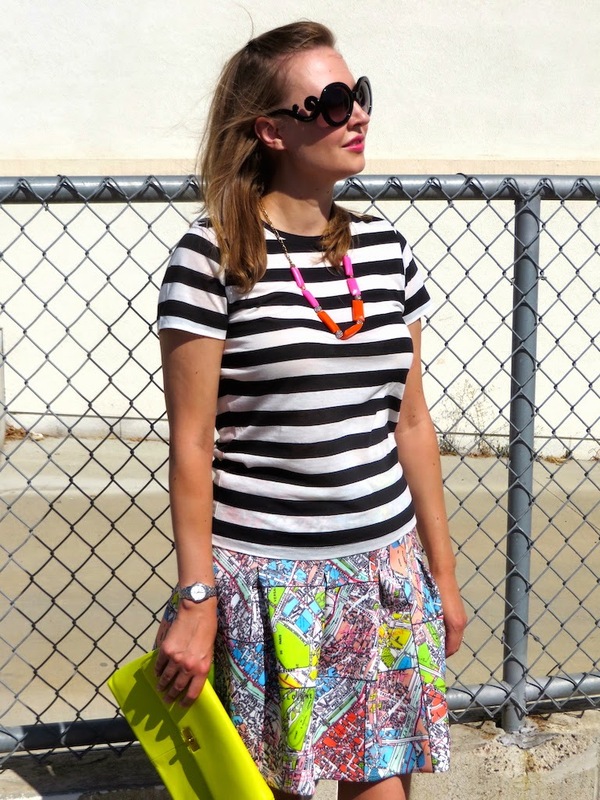 That skirt is a fun statement piece to have and looks great with stripes.